I have an issue with my pimcore installation. 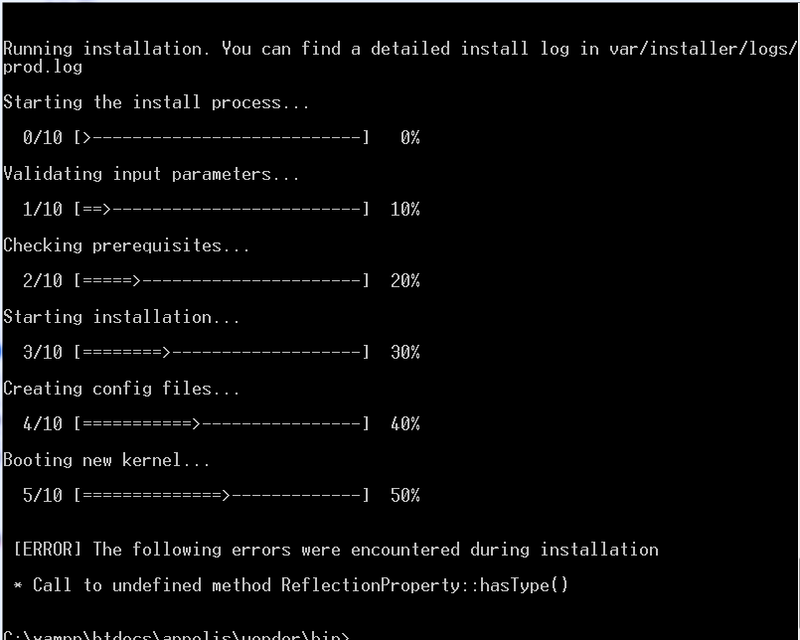 When I launch the command “pimcore-install” in my project, I find this error. Unfortunately, I have no solution yet. I´ve got the same issue. It seems there is a problem with a missing or undefined method “hasType” from the php class “ReflectionProperty”. Hi there, I am installing pimcore/demo on windows , I am got stuck on this for 3 Hours. Its not installing Please help. This issue has to do with the fact that for some reason Ocramius’ Proxy Manager started to require PHP 7.4 for their latest 2.3 release. If you set your system to require PHP 7.2 for instance you can circumvent this and get your installation working. Hi, try pressing CTRL + X if you see that it’s taking too long.